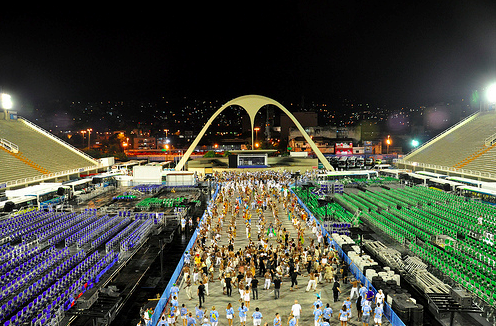 Technical rehearsals take place at the Sambadrome in the week leading up to Rio Carnival. Rehearsals follow a strict schedule, so do check the schedule of your favorite school carefully. In the technical rehearsals, Samba Schools perform a dry run of their rehearsed performances that will be delivered in the competition of the Rio Carnival Sambadrome parades. As the final date draws nearer, technical rehearsals take place more frequently. By holding technical rehearsals, schools are able to practice on the big stage and are given time to make final adjustments to their performances before the big night. Carnival producers watch every dance move and every percussionist to ensure perfection on parade night. While costumes, floats and props are noticeably absent from technical rehearsals, this is a great opportunity to get a behind the scenes look at the preparation that goes into putting on such a high quality performance. 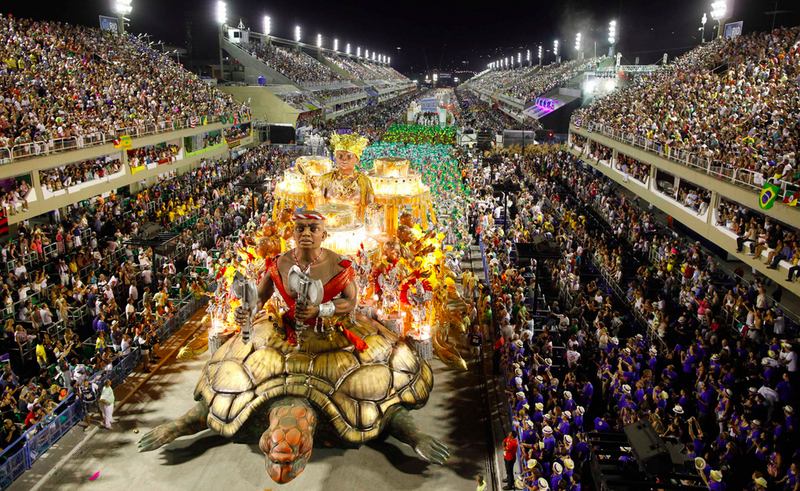 For those who will not have the opportunity to witness a real Sambadrome Parade, technical rehearsals feature over 800 members of each school who march down the entire length of the samba runway exuding as much energy and excitement as if it is already Carnival. The beat of the samba percussions and beauty of the singers’ voices are just as impressive, even without the extra ornamentation of sequined costumes and massive floats that tower above the frisas. 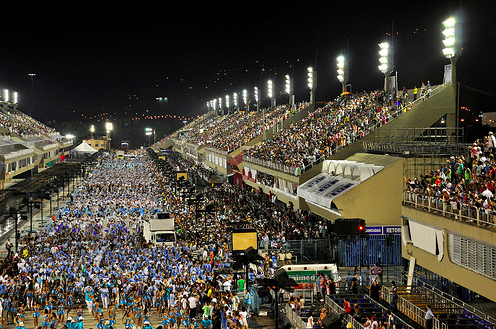 While the schools practice their choreography and pay meticulous attention to every detail of the procession, including taking measurements for float distances and planning the exact movements of the drummer niche, your free trip to the Sambadrome to watch the samba school rehearsals is completely care free. All you have to do is sit back, relax and soak in the music and entertainment from the sidelines. The final rehearsal before Carnival is always the most exciting and spectacular show to watch, as the traditional blocos and street bands of Rio de Janeiro join in at the end of the rehearsals. You are encouraged to join in, dance, learn the samba songs and enjoy the free-spirit of Rio Carnival.